A Power of Attorney (POA) is a document that allows you or a loved one to choose a representative to handle your legal and financial matters on your behalf in the event that you become unable to handle your affairs yourself. If you become incapacitated or otherwise unable to manage your affairs, a POA eliminates the need to have the court appoint a conservator to handle your legal and financial matters. Having a court appointment conservator is an avoidable, unnecessary and expensive situation that may allow an unknown person to make important decisions on your behalf. A power of attorney (POA) can be general or specific. A general POA grants the person you choose to have the power to act on your behalf (your agent) in a very broad and extensive way. You could give your agent the power to handle banking transactions, buy and sell property, settle claims, and much more. A general power is often used to allow your agent to handle all of your affairs during a period of time when you are unable to do so. Unlike a general power of attorney, a specific power of attorney grants your agent limited powers to act on your behalf. You can give many of the same powers as granted by a General POA. However, a specific POA is often used to allow your agent to handle specific situations for you when you are unavailable or unable to do so. For example, you may be traveling outside the state or country. A durable power of attorney is like a power of attorney described above, but contains a durability provision which allows the document to stay in effect even if you become incapacitated. You can sign a durable power of attorney document to prepare for the possibility that you may become mentally incompetent due to illness or an accident. The durable POA can be structured so that it does not become effective until you are incompetent, which adds to your security and safety. An Advanced Health Care Directive (aka living will) is a document that often accompanies a durable POA. 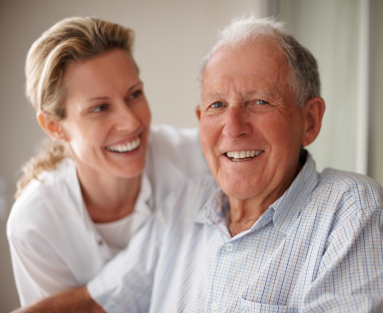 An Advanced Health Care Directive provides your designated agent the ability to make health care decisions on your behalf if you are unconscious, mentally incompetent, or otherwise unable to make such decisions. You don't have to choose a lawyer to be your agent. However, it is important to select someone you trust. You must be confident that the person will look after your best financial and health care interests. Because the powers granted to an agent can be quite broad, you need to choose someone who won’t abuse the powers your grant to them. In addition, there’s always the possibility that the original agent you chose is unable or unwilling to serve. Therefore, you must also consider the naming successor to ensure your interests are covered.